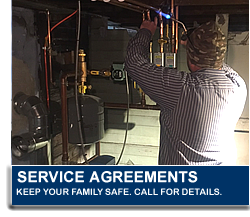 Prevent accidents from happening by having a Service and Maintenance Agreement with Yeager's Heating Service. 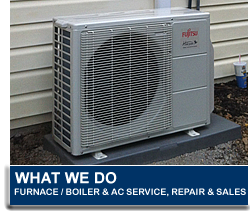 Here at Yeager's Heating Service, we offer several options for you to keep your system running optimally. With a contract, you're ensured regular maintenance and repair when its needed so you can avoid running into problems in the middle of the night. To help you tailor a contract to fit and meet your needs, please call us and we will schedule a free onsite estimate and diagnostic that will fit with your existing system.